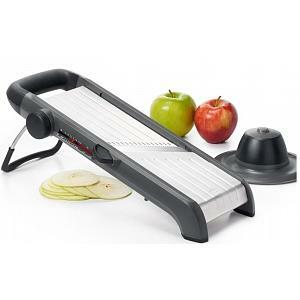 The crepe pan features a ferromagnetic base to allow use on induction stoves as well as all other cooking surfaces. 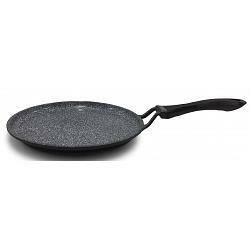 The ceramic coated crepe pan is made from hand cast pure aluminum and is 100% PFOA free. The handle is long and won't get too hot so you don't have to worry about burning your fingers. The crepe pan dishwasher safe and has a lifetime warranty against warping. The ceramic non-stick crepe pan has a cooking surface diameter of 24cm / 9.5 inches.